Gina, I love your meal plans and use them often. It’s so nice to have everything needed already listed. Your blog and cookbooks feed my family often, and my husband is always happy to hear me say “We’re ‘SkinnyTasting’ tonight.” I appreciate all the work that goes into your site. Thanks so much! 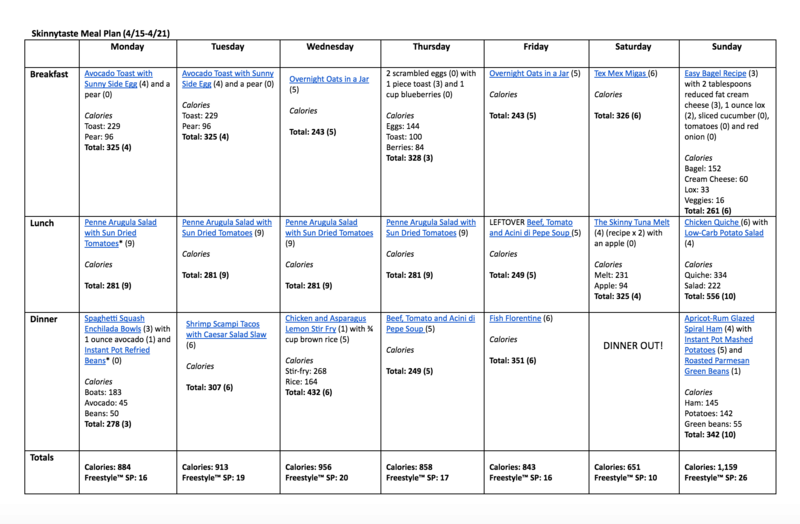 Your meal plans are some of the most realistic out of any I’ve found. I love that you take into account leftovers, and how every meal doesn’t have to be some fancy recipe (like simple breakfasts). There’s also so much flexibility! Thank you for what you do and the inspiration you give me! 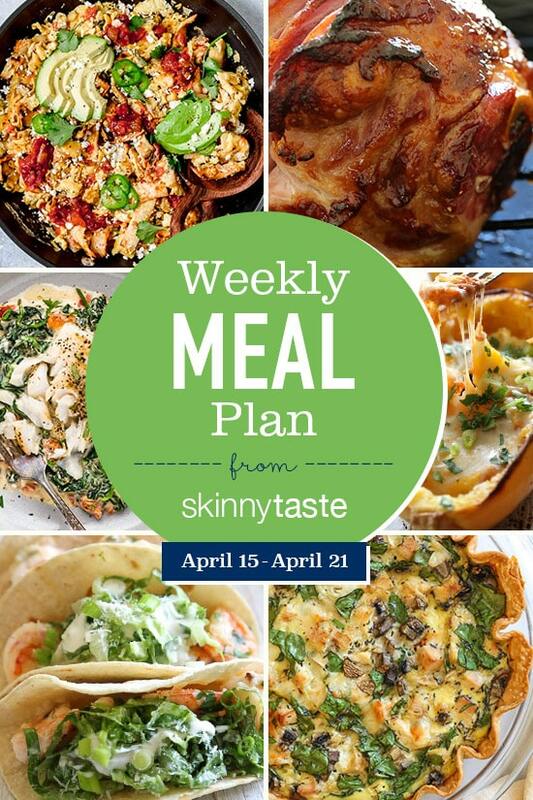 Thank you for providing weekly meal plans, Gina! I really appreciate them, and my husband has been having fun seeing what is planned each week! Love using these plans! It makes life so much easier. Thank you for these plans! Love this!! I purchased everything hat I needed and I am feeling great about it!! Thank you Gina!! I can’t thank you enough for a weekly meal plan this week. I literally could not handle thinking of one more thing right now. Thanks to you I’ve got something in my life figured out and I cannot tell you what a gift that is. I told two people at church today about your site and cookbooks. Thanks!!! Love, love, love your meal plans. What did I do before you started publishing them? I have been using them for 2 years and they are such a wonderful time saver. My 2 daughters have moved into their own apartments and they love your recipes and planning as well. I don’t use every recipe you suggest, just because of personal preference, but your plans make my meal planning and shopping so much easier every week. Thank you so much for this AMAZING blog. In a 5 star world, your blog is a 6! Thank you for sharing these menus! Am I the only one who can’t eat the same thing 4 days in a row? 2 would be my max. Great ideas though. Thank you SO much for doing these, they are so incredibly helpful; I hope you continue to provide them! Hello! Thank you for these plans. This is my fourth week using them. While I don’t use everything on the plan, I choose meals that work for us. After I made almost every recipe multiple times from your cookbook , “one and done,” I needed some new recipes in the rotation!!! Thanks for the healthy, delicious recipes each week! Thank you for giving us free healthy meal plans every week. Happy Easter! Thank you for doing these! So helpful! I don’t understand how to open the menu and be able to click on the recipe links.